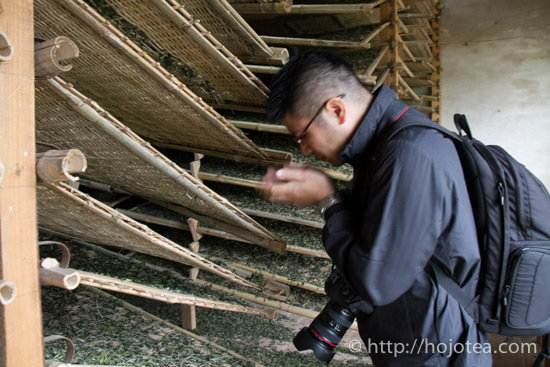 I have spent two days in the white tea factory located in Fuding city of Fujian province in China. 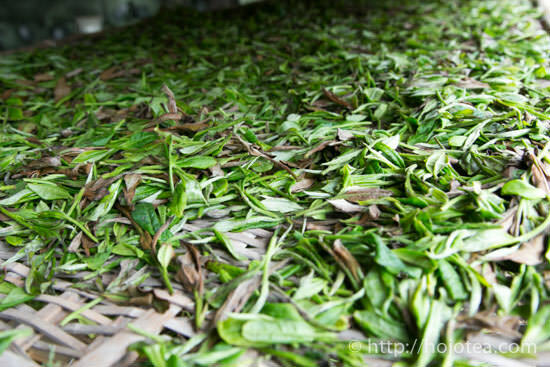 The main difference of white tea from green tea is that green tea will undergo either pan-frying process or steam-heating process in order to inactivate the enzyme. 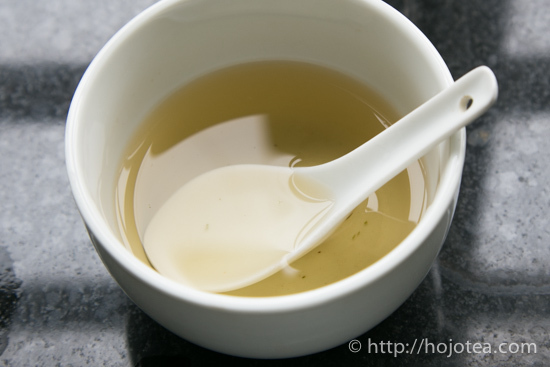 As for white tea, there is no heating process to inactive the enzyme. 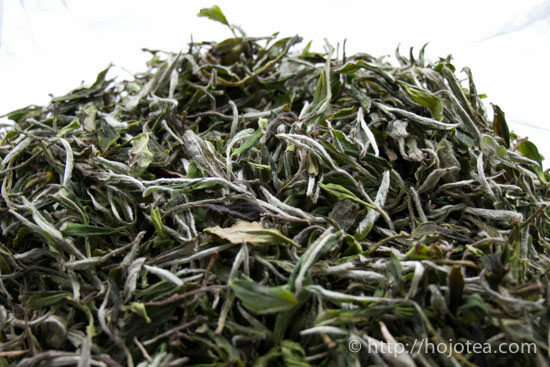 If fresh tealeaf is heated, we do not call it white tea, but green tea. 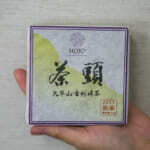 There are many kinds of green tea in the market that appearance is very white thanks to the white pekoe. But they are still called green tea as long as heating process is involved. 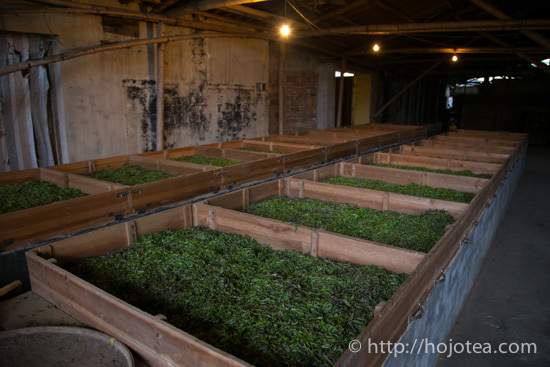 The most important process for making white tea is the withering process. It involves outdoor withering under the sun and indoor withering at controlled room temperature. 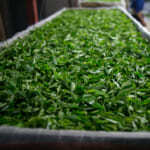 After the fresh tealeaves are plucked and gathered, it will be sent to the factory. 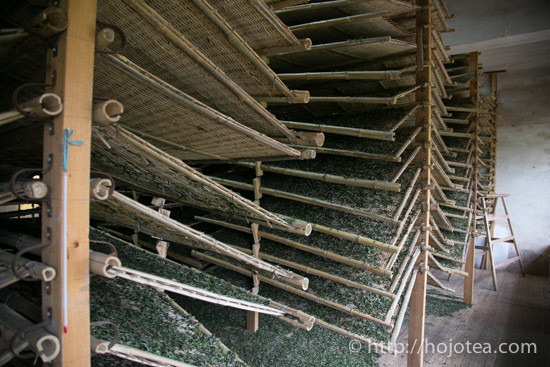 The fresh tealeaves are then carefully spread on the bamboo plate and left under the sun for a few hours, and subsequently it will be kept in a room for more than 12 hours. The room is equipped with fans to circulate the air. Besides, the room is kept warm using hot air. 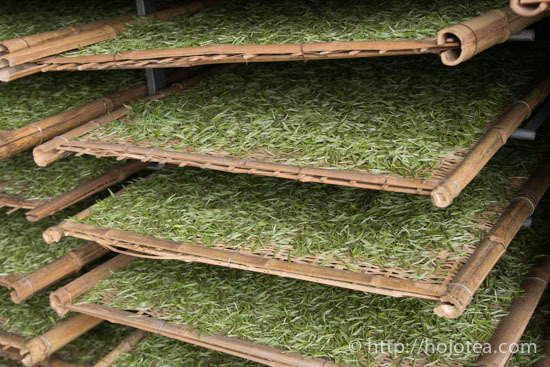 Usually, the room temperature is controlled at about 36 degree C. Many people tend to think that making white tea is very easy since it just has to be naturally dried. 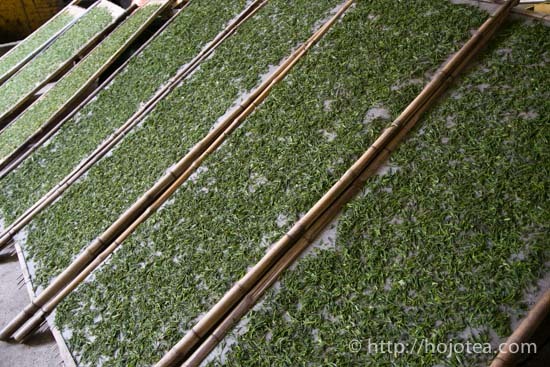 If one never care about the tea quality, it is indeed very easy to produce. 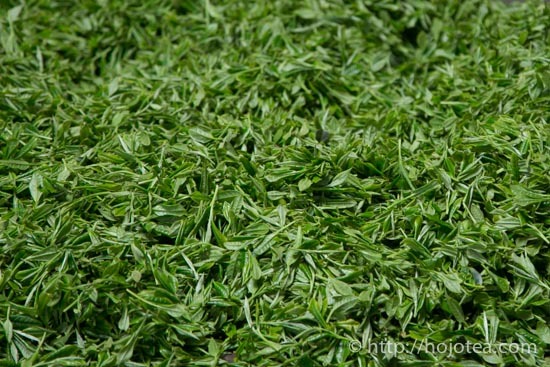 You just need to keep tea in a room with good ventilation so that tea will lose moisture and becomes white tea. 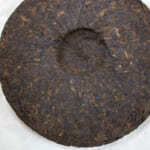 However, the simply dehydrated tea will develop stale or oxidized flavour. The leaf sometimes turns brown if excess fermentation occurs. 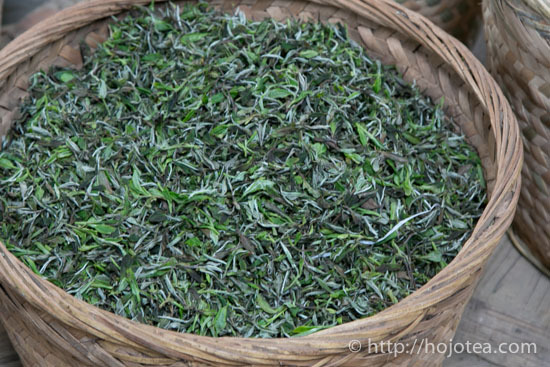 Besides, without much attention during the handling of teas, it becomes red once tealeaf is damaged, or if it’s stack, it turns black. The poorly managed withering. There are many brown leaves. 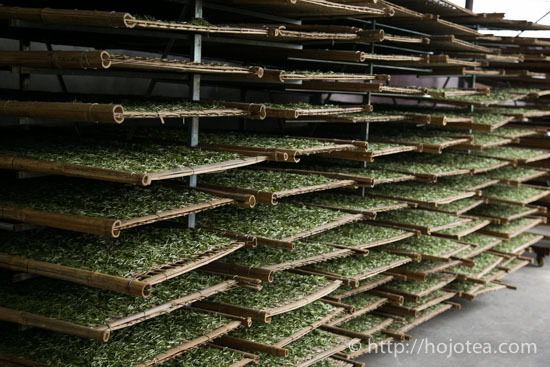 We followed master Zhen who has more than 40 years of experience in making white tea. 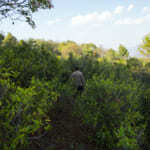 According to him, the key to process good white tea is the speed, management of right temperature and duration of withering process. 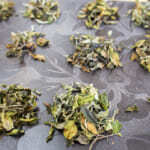 If tealeaf is half-way dried, the moisture distribution between the surface of leaf and inside the leaf is not the same. If one just continues the same temperature, the moisture will be trapped inside the leaf and it will develop stale flavour. When the moisture on the surface starts disappearing, they have to raise the room temperature in order to reduce the internal moisture. 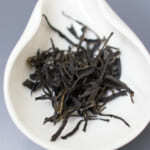 With the good management in process, the white tea will develop sweet and floral flavour. 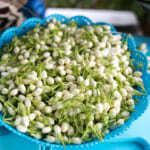 It is very refreshing and you can hardly feel any stale flavour. 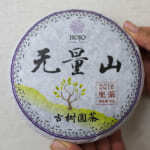 After spending two days in Fuding, I managed to find the right manufacturer and successfully purchase two types of white tea. 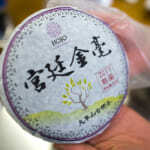 For the details about the white teas, I will continue later.